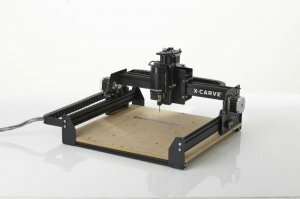 X-Carve is the latest desktop 3D Carving machine from Inventables Inc., the makers of the the popular Shapeoko 2 3D Carving CNC machine and other cnc desktop machines. 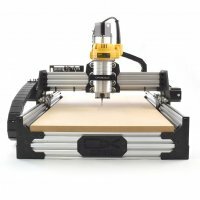 With the X-Carve, Inventables is bringing affordable 3D carving to makers with a machine that can mill plastic, wood, and even metal at a starting price of only $799. 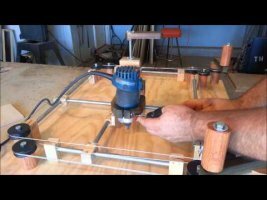 If you loved the Etch-A-Sketch as a child and find yourself missing it as adult, then you will like what one guy built in his workshop. With only a few dollars worth of parts and a router, YouTube's Izzy Swan made the grown-up version of the classic child's toy. 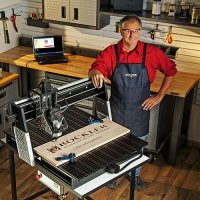 But instead of drawing with aluminum powder, his version carves into wood with a router. Like the classic Etch-A-Sketch, it takes great skills to draw something that actually looks like something—so I will not be making one of these. 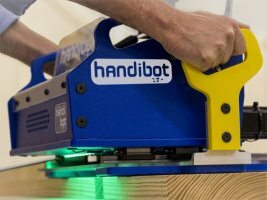 With most CNC routers you have to bring the material to the machine, but the new Handibot CNC Router has you bring the CNC router to your material. 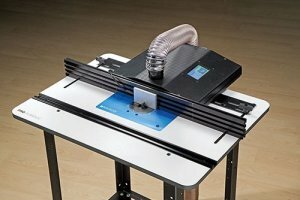 Is this going to be the gateway to getting CNC routers on the jobsite? 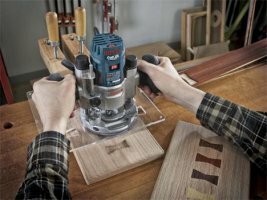 More than seven years ago Bosch released their Colt Palm Router; and who knew that all these years later it would be the router of choice by many tradesmen for light duty work. And while the Colt was good for light duty work, people always wanted more out if it. Now with the introduction of the PR011 Plunge Base, Bosch as given its tool all kinds of new possibilities. Who do we turn to when we need saving? Why the Justice League of course. But who does the Justice League turn to when the Hall of Justice needs saving from disrepair? 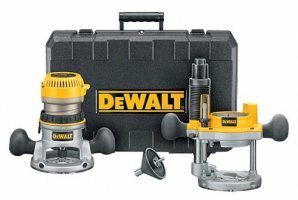 Apparently they turn to the Craftsman Technician and his trusty Craftsman Bolt-On Modular Tool System.